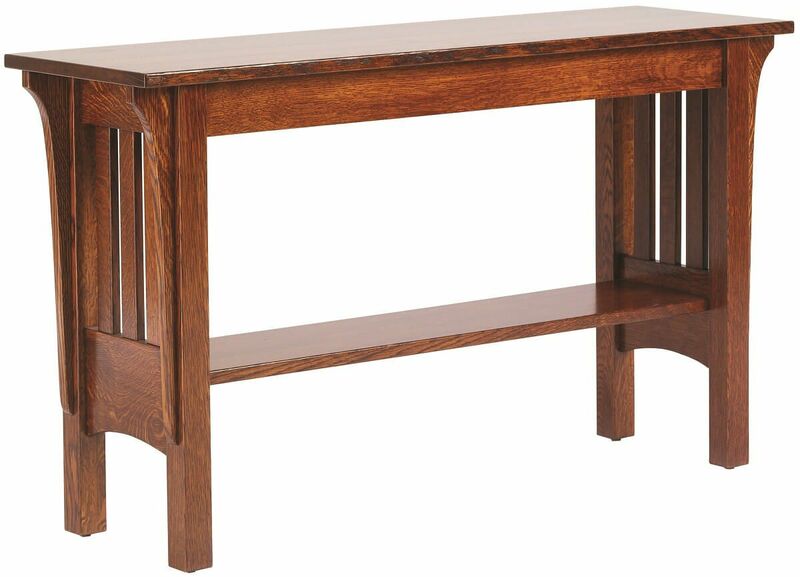 Our Amish-made, hardwood Sandy Creek Console Table will complement your Mission seating in all it's creativity and craftsmanship of handmade furniture. 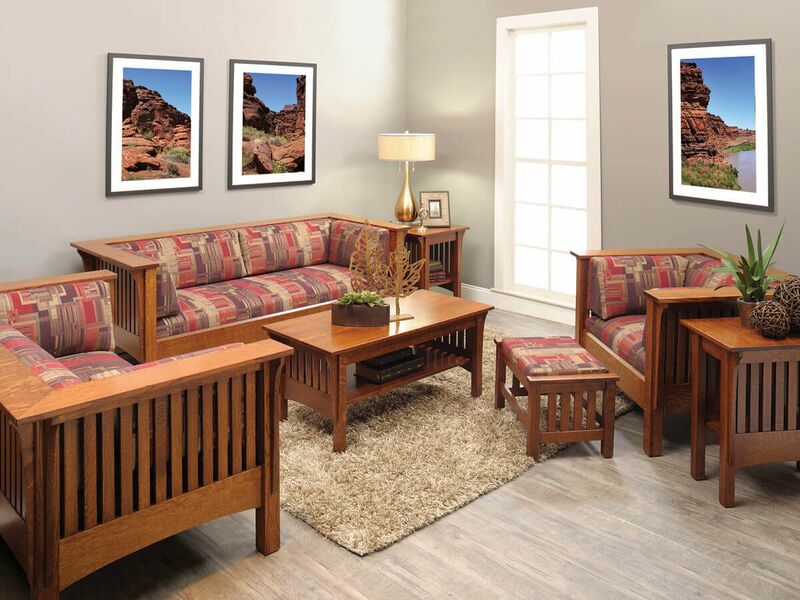 Handcrafted specifically for you, your Sandy Creek Console Table will arrive in the wood and stain selection of your choosing. Order as shown in Quartersawn White Oak with a Burnished Honey finish, or request samples to view in your home. Use your Sandy Creek Console Table as an accent in your entryway or as a display piece behind your sofa. With a solid 1" thick top and full length base shelf, the display possibilities are endless. Expect to get years of use out of this console table. 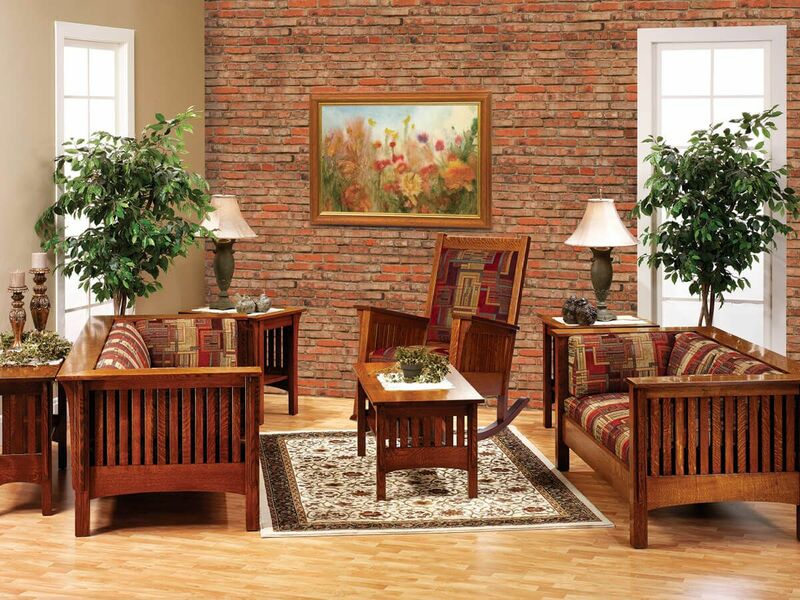 Match this piece with other occasional tables and seating from our Sandy Creek Living Room Set.